It’s hard to believe that tomorrow is already the first day of April. (Especially since I’m looking out my window right now to see flakes wafting down and the ground covered in white . . . . again . . . even though all our snow had finally melted. I’m not happy with this turn of events. But I digress . . . ) Anyway, it’s true. Spring is here (or so they tell me) and April starts tomorrow. Which means that Diabetes Blog Week is coming up FAST! I’ve gotten a few emails asking when Diabetes Blog Week will be held, so here is your official Save The Date. The 5th Annual (OMG, five??) 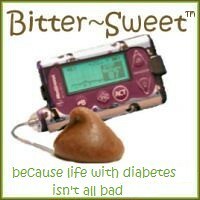 Diabetes Blog Week will be held May 12th - 18th. Sign ups will start the week before, Monday, May 5th. (Olé!!) As in the past, the blog topics for the week will also be posted that day. As each year goes by, coming up with fresh topics becomes more challenging. So last year, I put out a call for topic suggestions. I loved that because 1) you guys have much better ideas than I do and 2) I’ve always wanted DBlog Week to be by the DOC as well as for the DOC, so having the DOC help come up with topics seems like a perfect fit. So, I'm asking for your help again. What should we blog about this year? 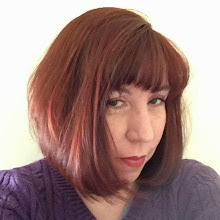 Please email your suggestions to me at DBlogWeek@bittersweetdiabetes.com.